The Big List of Christian Podcasts (Reasonable Theology). If you like Christian podcasts – then you will love this!! As a result of a sincere reader’s query we have started a brand new page on Anabaptists. 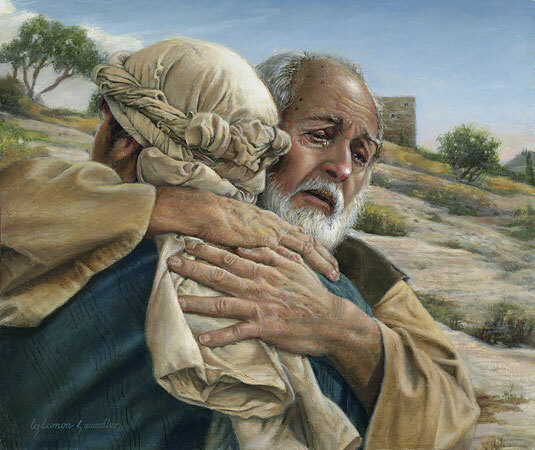 The parable of the man with two sons (aka 'the prodigal son') is one of the most famous of all Jesus' parables. But what was his point? Was it simply to let Israel know that God was loving? Was there a message about the Gentiles in there? Which one, if any, is Jesus? Which one, if any, is us? “Why We’re Giving Away the ESV Global Study Bible (to Everyone)” from Crossway. We have just started a brand new page on CULTS. 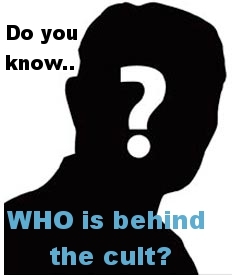 To be more accurate, we have been converting Adrian van Leen's messages on 'Cults' that first aired on "Sonshine FM" in Perth, WA, Australia. They are very informative and most helpful - as Adrian is one of the top authorities on cults and Christian fringe groups in Australia. And I would add, one of the most respected! You can access the first group of mp3 talks HERE (we still have a lot to add over the next few months). 'Young Earth creationists' are often a target of jokes, ridicule and even vitriol. Consider this little gem: “To put it bluntly but fairly, anyone today who doubts that the variety of life on this planet was produced by a process of evolution is simply ignorant—inexcusably ignorant, in a world where three out of four people have learned to read and write” (Daniel C. Dennett, Darwin's Dangerous Idea: Evolution and the Meanings of Life). Apparently, Young Earth creationists are ‘inexcusably ignorant’ if not downright unintelligent. Even in the Christian community, Young Earth creationists are sometimes treated like ‘flat-earthers’ and are even seen to be ‘unhelpful’: “The debate that has been conducted in terms of "creation versus evolution" has gotten caught up with all kinds of other debates, and this has provided a singularly unhelpful backdrop to the would-be serious discussion of other parts of the Bible” (N.T. 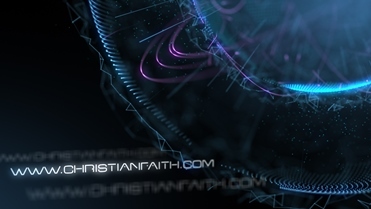 Wright, Simply Christian: Why Christianity Makes Sense). Surely Young Earth creationists can’t be serious scientists! Well, that perception (among others!) 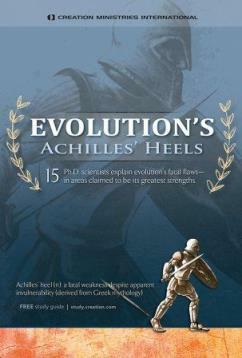 is quickly dispelled by a recent documentary called, ‘Evolution’s Achilles’ Heels’ featuring no less than 15 Ph.D scientists. These 15 intelligent, articulate, passionate scientists have some major issues with the theory of evolution and they give their reasons, as scientists, why they hold the views they do. Compelling viewing … please read on. What science tells us about the unborn by Paul Stark (Right to Life). "Before deciding how we ought to treat the unborn—a moral question—we must first be clear about what the unborn is. This is a scientific question, and it is answered with clarity by the science of human embryology. 'The Case for the Real Jesus' by Lee Strobel - Free Audiobook for March! Our friends at CHRISTIAN AUDIO have come up with a great offer for March 2015! 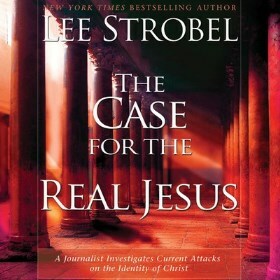 Read more about 'The Case for the Real Jesus' by Lee Strobel - Free Audiobook for March!